After 5 years, very popular & beautiful actress Aishwarya Rai Bachchan is back on silver screens with the latest action thriller movie Jazbaa. The movie is all set hit theaters on 9th October worldwide. After the premiere shows, getting super positive reviews from critics as well as Bollywood celebrities who had attended. These positive words are creating huge buzz about the movie on social media and also increasing the excitement level of audience. Aishwarya Rai has huge fan following among audience, and with her comeback all are very much excited. 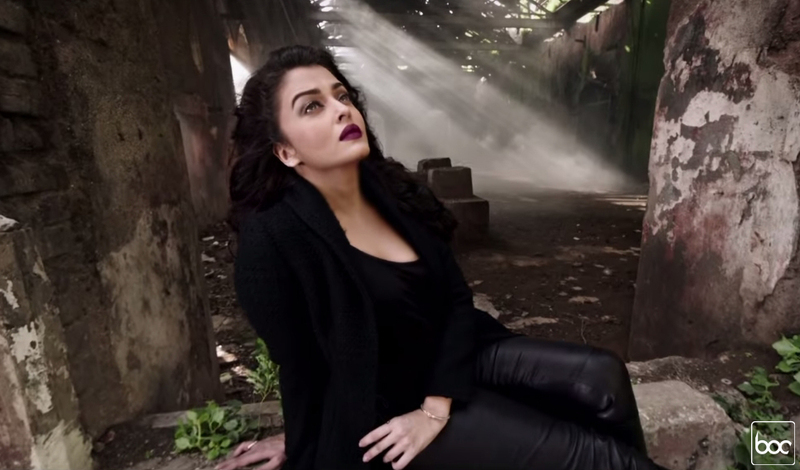 Jazbaa also features the very versatile actor Irrfan Khan along with her in lead role. Both the stars are receiving huge appreciation from the time when its official trailer was released out. The trailer was integrated with burly one liners, which audience liked the most. Jazbaa is an official remake of South Korean movie Seven Days that was released in year 2007. It is the directorial venture of Sanjay Gupta who was also directed very successful thriller movies like- Kaante & Shootout At Wadala. As per the critics, each & everyone associated with the movie has done his/her work incredibly. And entire credit of this goes to the director Sanjay Gupta. After considering the advance booking reports & audience craze, Jazbaa is expected to start with overall occupancy of 50-55% in India. Movie will has to compete with new big release Rudhramadevi & last week successfully running movie Singh Is Bliing. But still it seems to have decent opening business of atmost 7-8 crores*.